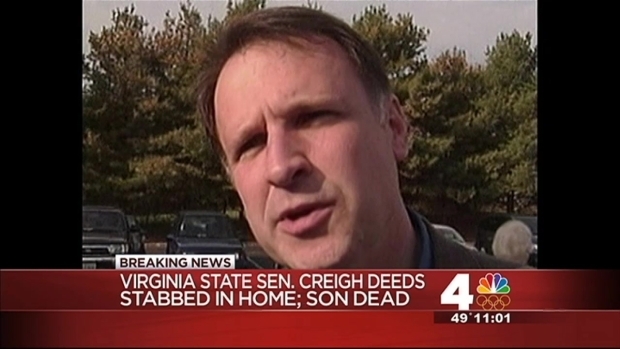 Virginia State Sen. Creigh Deeds was upgraded to good condition at the University of Virginia Medical Center Wednesday, one day after he was apparently stabbed by his son, News4 Northern Virginia Bureau Chief Julie Carey reported. The son, 24-year-old Austin "Gus" Deeds, died at the scene. An autopsy Wednesday confirmed that Gus Deeds died of a self-inflicted gunshot wound. "Based on the evidence we have right now, we are looking into this as an attempted murder and suicide," said Virginia State Police spokeswoman Corinne Geller. State police have stopped short of confirming what other sources had told News4: That 24-year-old Austin "Gus" Deeds stabbed his father and then killed himself. But state police did confirm that the two had an altercation outside Deeds' Bath County home, and that Creigh Deeds suffered multiple stab wounds to the head and upper torso. Deeds, 55, was able to walk out of the home and down a hill on his property (seen in the picture below) to Route 42, where he was spotted and picked up by a cousin, who took the senator to his residence. Deeds was airlifted to UVa. Medical Center, where he was initially listed in critical condition and was treated in the intensive care unit. Virginia State Sen. Creigh Deeds is improving in the hospital, Northern Virginia Bureau Chief Julie Carey reports. 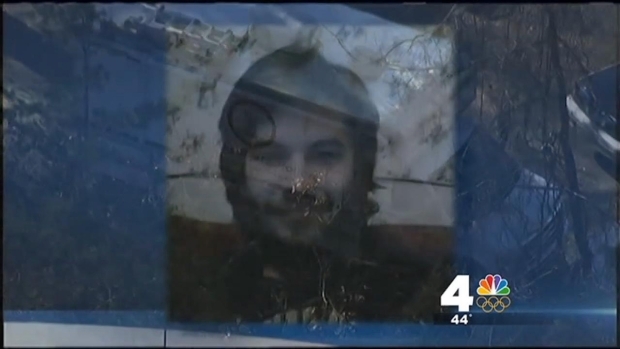 Police believe his son stabbed him before taking his own life. "I'm so relieved he's doing better, but the tragedy is that he'll be living with this for the rest of his life," said Va. Sen. Janet Howell, a friend and colleague of Deeds. Troopers and first responders attempted to treat Gus Deeds, but he died at the scene. His body was taken to the medical examiner in Roanoke for an autopsy. Investigators recovered a firearm at the scene. The autopsy indicated that the shot was fired from a rifle. Jim Vance gives an update on the stabbing of Virginia State Sen. Creigh Deeds, who is now listed in fair condition. Deeds' colleague Delegate Scott Surovell and outgoing Virginia Gov. 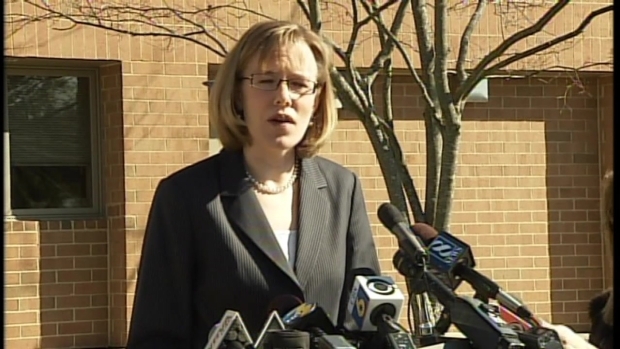 Bob McDonnell gave their reactions to Deeds' stabbing. Police are not seeking any other suspects, Geller said. Virginia State Police said in a press conference Tuesday that they believe the incident happened shortly before 7:25 a.m., when the Bath County Sheriff's Department received the 911 call. They are not sure who placed the call. 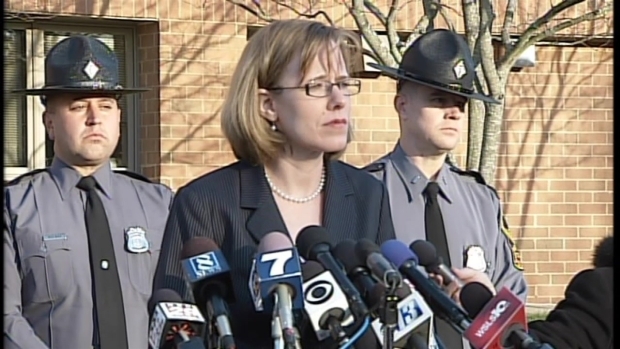 Virginia State Police spokeswoman Corinne Geller held a press conference at 3 p.m. Tuesday on the ongoing investigation into the stabbing of Virginia State Sen. Creigh Deeds and the death of his son. Creigh Deeds has been able to speak to investigators, Geller said. The Bath County Sheriff's Department is assisting Virginia State Police with the investigation. The incident has raised new questions about the capacity of Virginia's mental health system. Tuesday, it was reported that hours before the attack Gus Deeds was the subject of an emergency custody order -- but a bed at a hospital or psychiatric treatment facility was not available, and he was released home. 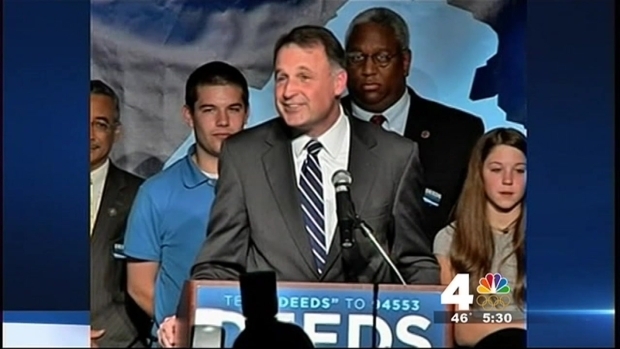 Virginia State Sen. Creigh Deeds was stabbed Tuesday morning by his son, Austin "Gus" Deeds, before the son fatally shot himself, Democratic sources tell News4. Now the Washington Post is reporting that three hospitals within a two-hour drive of Bath County did have beds available, and two of the three say they were never contacted by the Rockbridge County Community Services Board trying to find a placement for Deeds son. The state inspector general has now launched an investigation to find out what led to Gus Deeds' release after the custody order was issued. "Regardless of whether or not there were beds, there was not a system to determine if there were beds available," Howell said. "It seems to me we should have a clearinghouse of some kind so that when somebody needs a bed, there is a very efficient way to find out where one is available." The assault shocked many throughout the commonwealth. "The news from this morning is utterly heartbreaking," said Virginia Gov. Bob McDonnell. "Creigh Deeds is an exceptional and committed public servant who has always done what he believes is best for Virginia and who gives his all to public service." Four years ago, Deeds, a Democrat, lost badly to Republican McDonnell in the Virginia governor's race, although Barack Obama had carried the commonwealth just a year earlier. Larry Sabato, director of the University of Virginia's Center for Politics, said the loss was a reaction to Obama's election in 2008, and a harbinger of the Tea Party surge. But Deeds has held strong as a Democrat in a legislative district that encompasses both the urban center of Charlottesville and more rural, typically Republican areas of far western Virginia. Deeds has also been helped by his home turf of Bath County, which is typically Republican but turns out the vote for one of their own, Sabato said. Colleagues of Sen. Deeds said they've heard of difficulties with his son but never imagined an outcome like this. Gus Deeds withdrew from the College of William & Mary last month, the college said in a statement Tuesday afternoon. He had been enrolled there since 2007, although not continuously. He was a music major with "a strong academic record," according to the school. "Our hearts go out to the entire Deeds family," the school's statement read in part. The same year his father ran for governor, Gus Deeds, then 20, was arrested in Bath County for alcohol possession, according to the Virginian Pilot. 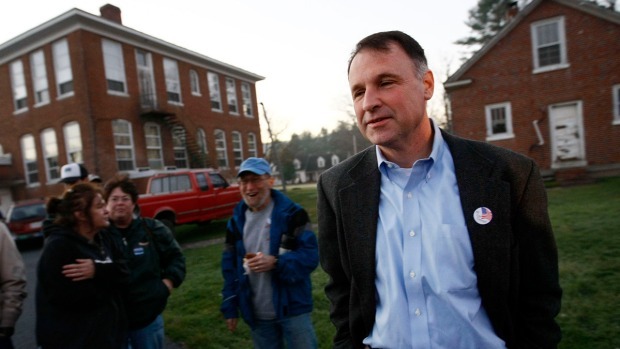 "This is a truly sad day for Virginia and for the many people who know Creigh as the fine public servant and friend he is," said Virginia Gov.-elect Terry McAuliffe, whom Deeds defeated in the Democratic primary in 2009. "We join people across the Commonwealth and country in wishing him a full recovery." Stunning news from Bath County. I am praying for @CreighDeeds and his family at this very, very difficult time. Our thoughts and prayers are with @CreighDeeds and his family. Creigh Deeds has been a Virginia state senator since 2001, representing Virginia's 25th District. He served in the House of Delegates for 10 years prior and ran unsuccessfully for attorney general of Virginia in 2005 before his run for governor in 2009. Deeds and his first wife, Pam, divorced after nearly 20 years of marriage in 2010. The couple also has three daughters. Deeds married his second wife in June 2012. She was not home at the time of the altercation. Stay with NBCWashington for more on this developing story.